For years The New American has been warning of trade deals and agreements that appeared on the surface to have everything to do with “free trade” and nothing else. But those trade deals, which allowed foreign suppliers of essential industrial materials such as aluminum and steel to undercut domestic prices, has cost America greatly in terms of national security. In the event of a war, America wouldn’t have the industrial base to support itself. But it’s worse than that. The policy of undercutting prices and undermining America’s basic industries is part of a decades-long plan to weaken America and strengthen its enemies so that it may be assimilated into a one-world Government. When the Wall Street Journal quoted an unnamed White House source who complained that “nationalists” had successfully “hijacked” the process, it got it exactly right. And that is very good news for those who treasure America’s national sovereignty. 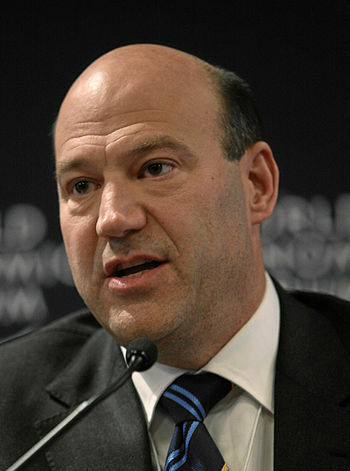 The New American has repeatedly pointed out the president’s seeming reversal from his campaign promise to “drain the swamp.” As we noted a month after Trump was inaugurated, “Candidate Trump and President Trump appear to be two very different individuals when it comes to the issue of Wall Street and Goldman Sachs (GS). Since at least December there have been troubling signs of a great reversal in Trumpland on this vital issue [globalism versus national sovereignty]…. The new Trump administration is looking more and more like yet another replay of ‘Government Sachs,’ which means we are less and less likely to see White House support for the types of fundamental economic reforms [i.e., withdrawing from, or at the very least, heavily rewriting into America’s favor, various trade deals such as NAFTA, TPP and others] that we so desperately need, and that Candidate Trump at least gave some hope of finally effecting.” Those in Trump’s administration at the time with Goldman Sachs connections included Steve Bannon, Steven Mnuchin, Anthony Scaramucci, Jay Clayton, Dina Powell, Jared Kushner, and Gary Cohn. But something happened. Bannon is gone. Scaramucci is gone. And now Cohn is gone, the loser in a battle between globalists seeking to submerge the United States into a world government, and those wanting to Make America Great Again by reasserting its national sovereignty. And that leaves a vacuum which, if filled by an individual whose primary loyalty is the Republic, could turn this “half a victory” into a full one. Four names are being floated to replace Cohn, starting off with the man responsible for “hijacking” Cohn’s plan, Peter Navarro. He currently serves as an economic advisor to the president, director of trade and industrial policy, and director of the newly created White House National Trade Council. He strongly opposes the TPP (Trans-Pacific Partnership) and NAFTA (the North American Free Trade Agreement) and was able to persuade the president that such “free trade” agreements aren’t in America’s best interests. Navarro is not a member of the globalist “mothership” (to use Hillary Clinton’s words), the Council on Foreign Relations (CFR). None of the other three candidates being floated to replace Cohn are members of the CFR either, a good starting point. Kevin Hassett chairs Trump’s Council of Economic Advisers, but has some political baggage: He worked for the Federal Reserve and advised a number of establishment candidates including John McCain, George W. Bush, Bill Clinton, and Mitt Romney. While not a member of the CFR, Hassett has an odor of globalism about him that the president hopefully might find offensive. It’s half a victory with Cohn gone. It will be a complete victory if the individual taking his place is an American with a love of the Constitution and a respect for the nation’s sovereignty. If that happens, perhaps millions of Americans who know the stakes are a lot higher than just raising tariffs will be able to rest a little easier. This entry was posted	on Thursday, March 8th, 2018 at 6:18 am	and is filed under History, Politics. You can follow any responses to this entry through the RSS 2.0 feed. You can leave a response, or trackback from your own site.